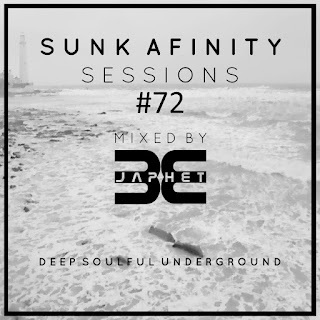 Show #73 Deep and soulful groove's front to back from artist's including Rescue Poetix, N'dinga Gaba, Tensnake, Addex and more. Look out for a brand new exclusive guest session from Mr Paul Layden broadcasting on a favorite station (*see below)next month!Enjoy the podcast and thanks for listening. 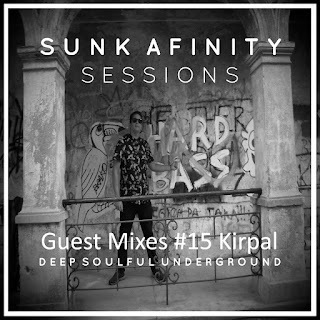 Sunk Afinity Sessions Guest Mixes #015 KirpalSunk Afinity Sessions welcoming back the guest mix series with an excellent and very interesting selection for Kirpal, enjoy the show and keep it classy..
Sunk Afinity Sessions Episode 72Show #72 featuring an eclectic mix of deephouse, soulful, funk and downright groovy beats. Guest mixes are being rebooted from next month so look out for an excellent exclusive set from our man in Amsterdam Kirpal.. In the meanwhile enjoy and cheers!